GiveWell supported a deworming programme at St Mary’s Catholic School in Lokoja, central Nigeria, in May 2017. 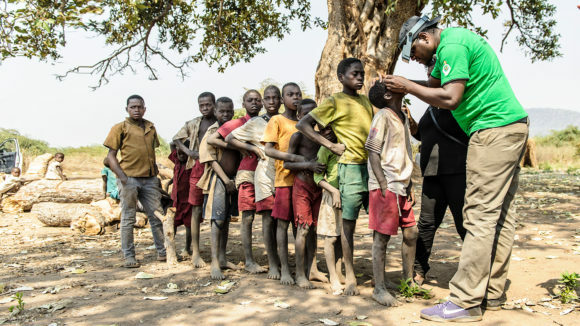 For the third year running, Sightsavers been named one of the top charities by charity evaluator GiveWell for its work treating children for parasitic infections, a process also known as deworming. GiveWell is a non-profit organisation that carries out in-depth analysis to find and recommend outstanding charities to donors. 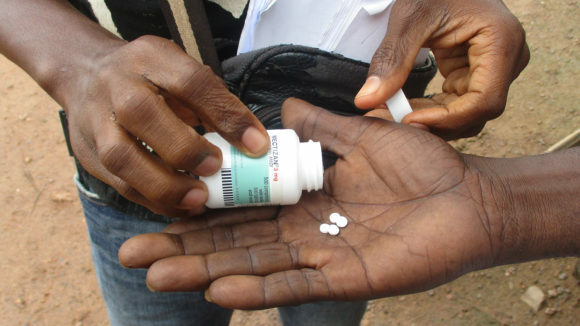 Sightsavers has been recommended for its deworming programmes to distribute treatment for schistosomiasis and soil-transmitted helminths, as part of programmes in sub-Saharan African countries including Nigeria and Guinea-Bissau. 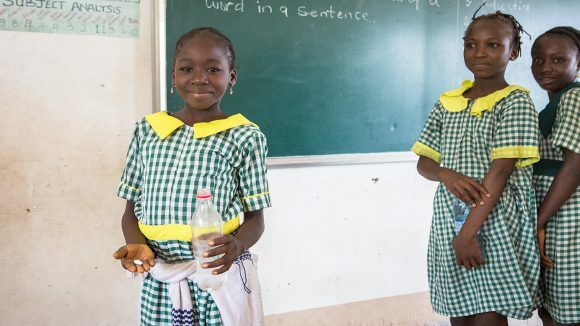 In 2018, Sightsavers has been commended for improving its cost-effectiveness – one of the measures that GiveWell uses to rate its top charities. Read more about our work with GiveWell, or watch our video below to learn more about our work across Africa and Asia. 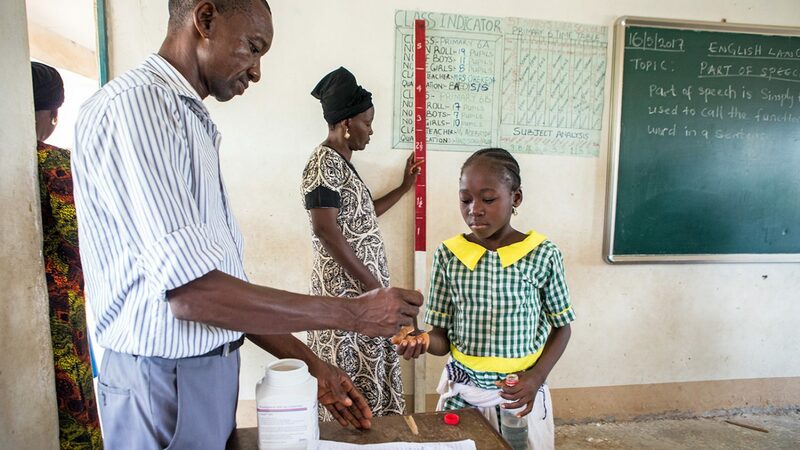 The grant, awarded in January 2019, will enable us to deliver deworming treatments to more than 15 million children in sub-Saharan Africa. Intestinal worms, also known as ‘soil-transmitted helminths’, are part of a group of conditions known as neglected tropical diseases (NTDs). 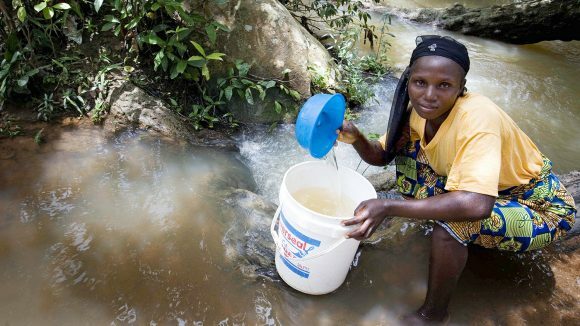 Schistosomiasis, also known as bilharzia or ‘snail fever’, is caused by parasites released by freshwater snails. It can cause pain, diarrhoea and death. Find information about NTDs, a group of 17 parasitic and bacterial infections, some of which kill and others cause physical impairment, including blindness.